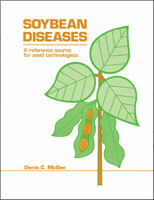 Provides information on one of the most widespread and destructive soybean pests. The soybean cyst nematode, Heterodera glycines, has been a major pathogen of soybean for at least a century and maybe much longer. This pest was first reported in Japan in 1915, and since then has involved a large part of the world. Until the mid 1950's, soybean cyst nematode was mainly a problem in the Orient where most of the soybean crop was grown. 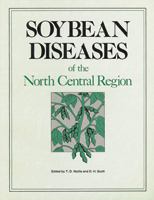 At the time the pest was found in the United States, soybean had reached major production levels in North America. Since the mid 1950's, soybean hectarage has expanded until soybean has become one of the four major crops worldwide. At the same time, the soybean cyst nematode has become one of the most widespread and destructive soybean pests. Research on the various facets of the biology, ecology, and control of this pest has been undertaken by numerous scientists in Japan, Korea, China and especially the United States. An extensive volume of literature has been developed, but it is scattered in diverse locations. This book is the result of efforts to bring together the information from diverse sources around the world. This authors are all scientists who have worked with the pest. They are specialists in their areas and are well qualified to write on their particular topic.